America's best paying jobs. Guess who's at the top? From Forbes.com America's best--and worst--paying jobs. "When we first looked at America's best- and worst-paying jobs a year back, we asked the question, "Why do financially pushy parents want their children to marry doctors?" Our answer then: Because, as Willie Sutton said of banks, that is where the money is. Still is. 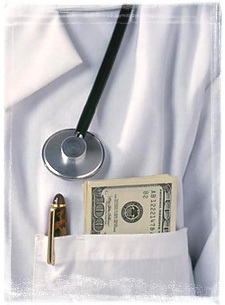 The medical profession continues to dominate the top end of our list of the 25 best- and worst-paying jobs in America. Anesthesiologists have flipped places with surgeons to take the top spot, but the next eight places are firmly in the healing hands of various sorts of specialist practitioners." The medical profession is still where its at. Being a air traffic controller must require more skill than I first thought. Being a pilot seems to be the best paying job with the lowest barrier to entry. They need no advanced degree. Pilots beat out lawyers who didn’t even make the top 15. In my book, net worth is a better measure than income to define wealth. You could make a lot of money but have no net worth. Remember, 40% of all wealth in this country is held by first generation small business owners. Does anyone else feel the hush in the room? Now what's going to happen? I'm considering opening up an anesthesia spa.